Let’s start out by saying that Everyone You Know are going to be huge! Sneaking slowly into the scene this year, brothers Rhys and Harvey have quietly been working on their live act, before dropping Cheer Up Charlie. Five tracks and two skits make up the Londoner’s excellent debut effort. Part electronic, part dance, part pop, part hip hop, these guys have it all. “Sinners” is the opening song, and it has huge potential to be a club classic. It’s got a real feel of The Prodigy. “Cheer Up Charlie” is the first of the two skits that features a hilarious answerphone recording about not answering when needed. “Dance Like We Used To” and “Father’s Temper” are Rhys’ chance to really show off his rapping abilities with some great mixing from Harvey. Fast-paced “Burning Down” is the type of song you shouldn’t listen to when driving. Gives you the real urge to whack your foot and fly along! Closing up with their strongest song, “Our Generation” is one that you’ll have on repeat once you’ve heard it for the first time. It also showcases why Everyone You Know have what it takes to become one of the biggest duos around. 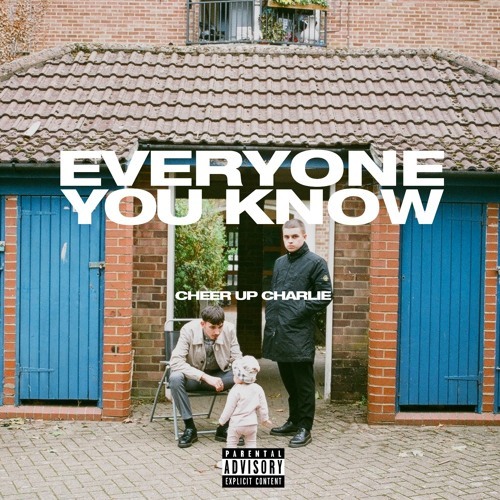 Cheer Up Charlie is out on RCA Records.